We spent an eternity - I'm talking ages - walking around the shops looking at every type of outerwear under the sun. 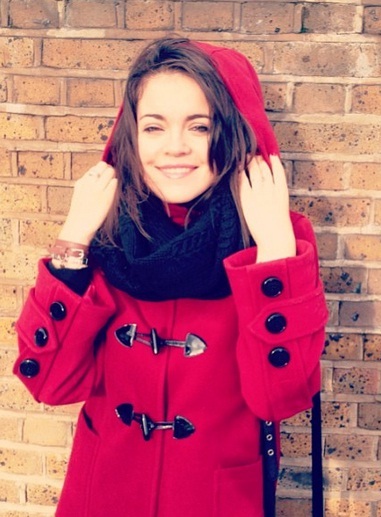 Parkas, jackets, faux furs, everything from £25 sale coats at Primark to expertly cut DKNY numbers, failing to find something that fit both the budget and my picky tastes (not to mention my vegan lifestyle - most winter coats have wool in them). Out of the blue, David spotted a coat in a tiny shop window and pointed it out to me. By that time I was almost fainting from trotting around Europe's biggest mall on a soy latte and basically no sugar, so I thought he was pointing to another one, a long old-lady one with huge golden buttons and an enormous fur stole. "You don't know me at all!" I lashed out at my poor boyfriend. "That thing? Maybe when I'm 50 - no, probably not even then!" David patiently convinced me to enter the shop and led me to the coat that he intended, a cute little Montgomery-style one, with a nice hood and bell sleeves. I tried it on and discovered one tiny yet relevant detail: I like how I look in red. E complimenti per il nuovo lavoro! I love how it looks on you. 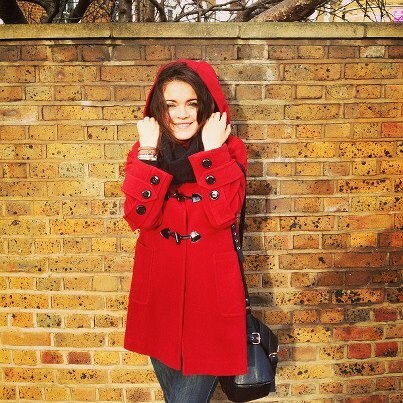 I have a similar red coat and love wearing it, it feels like I'm always making a statement just by wearing it! I know what you mean, it's the red that does it! 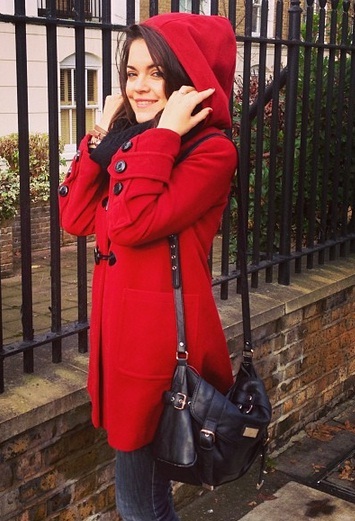 I'm usually wearing black or quite neutral colours, so a big splash of red really feels like a statement!